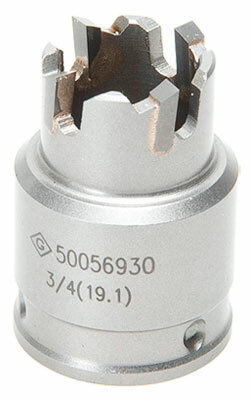 The Greenlee Quick Change Carbide Hole Cutter cuts stainless steel quickly and easily. Its Quick Change arbor allows you to change cutter heads with a simple push and turn. You can use the same arbor for different size cutting heads, and removable cutter heads are available in sizes from 5/8" through 3". The flange stop prevents over-drilling, and the ejector spring on all sizes above 3/4" makes slug removal easier. There is also a replaceable COBALT STEEL, SPLIT-POINT TIP pilot drill that prevents walking. 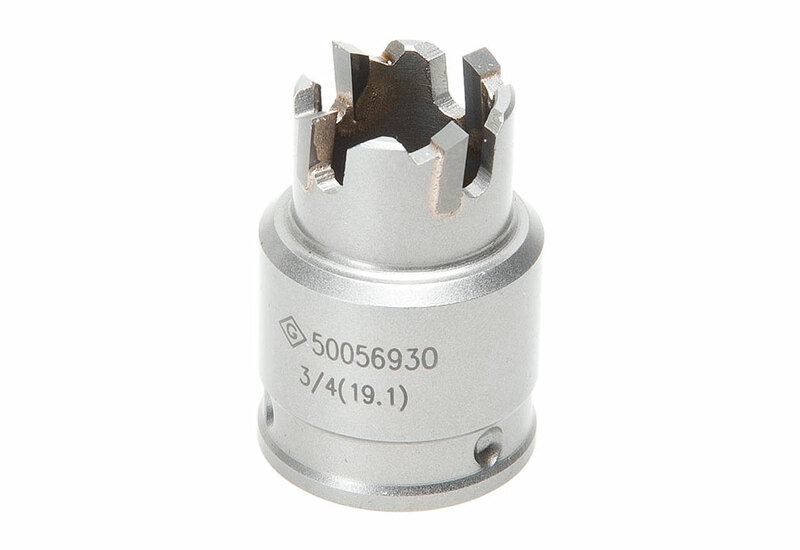 The cutter's precision carbide teeth are manufactured for optimum performance and durability. A minimum chuck size of 3/8" is required. Hole Saw: A hole saw (or hole cutter) is built with an annular (ring) shape, which allows the blade to cut (or bore) out a hole in the workpiece. It's usually used along with an arbor bit and powered by an corded or cordless drill.